The Geological Evolution of Australia and New Zealand focuses on the stratigraphy of Australia and New Zealand. This compendium covers the stratigraphy, paleogeography, and paleontology of various systems, including the Precambrian, Cambrian, Ordovician, Silurian, Devonian, and Carboniferous systems. Tectonism and igneous activity of these systems are also examined in this collection. Other systems considered are the Permian, Triassic, Jurassic, Cretaceous, Tertiary, and Quaternary systems. 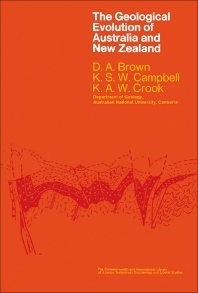 This book will be invaluable to archeologists, historians, researchers, and academicians interested in the stratigraphy of Australia and New Zealand, as well as those who wish to study the rock formation of their respective location.